Wholesale of more than 100 kinds of small round cardboard boxes with lids, widely used in skin care essential oil packaging, lipstick packaging and false eyelashes packaging boxes and other cosmetic packaging, according to different product characteristics, you can choose different materials, which, for custom packaging, is the most basic requirements. In the case of the same packaging design, choose a special and product-compatible packaging materials, can play a icing on the cake. This eyelash box uses a cylindrical structure design, using 300g cardboard and 90g silver cardboard as the main material. The main advantage of using silver paper as a packaging material is that the entire package looks silver-plated, adding a lot of added value to the product, but with a custom-made cost increase of less than 8%, it is a very good deal. 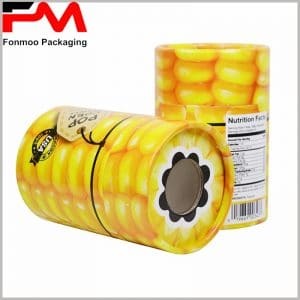 As for packaging design, the bottom is based on product images, but not prominent; but the packaging is very focused on the brand’s publicity, for the roof and theme are printed logo and brand name. This packaging design, more suitable for large brand product packaging, with the help of brand influence, can promote product sales. For different sizes of products, choose different diameter and height of the box. Choosing us to work with you will save you at least 30% on custom round cardboard boxes packaging costs because we are a product packaging manufacturer and have a price advantage over the packaging wholesaler. In the case of tube boxes, our aging is the highest, because we have a special proofing room and design department. Although the picture is not very clear, it is a very nice eyelash package. I am planning to start my eyelash product sales, thank you for your advice. Exquisite cosmetic tube packaging, packaging design is unique, I like it very much. Excuse me, how can I get it?